Does Nancy Pelosi actually believe her title is enough to silence President Trump? If so, call the men with the white coats, because it’s time to have her committed. A democrat can’t keep a promise to save their own life. 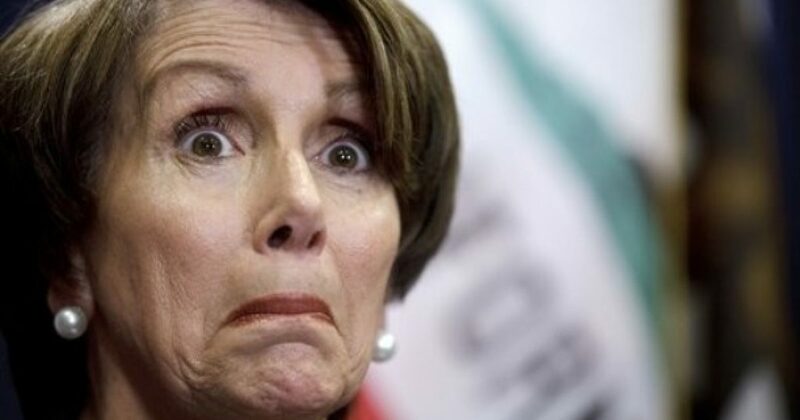 If they could, Nancy Pelosi wouldn’t even be Speaker of the House. Obviously, it’s yet to be seen what will happen to the many leftists that campaigned on a “Never Nancy” platform. But as liberals lie any time they open their mouths- Pelosi, the shameless hack, was able to recover her title. 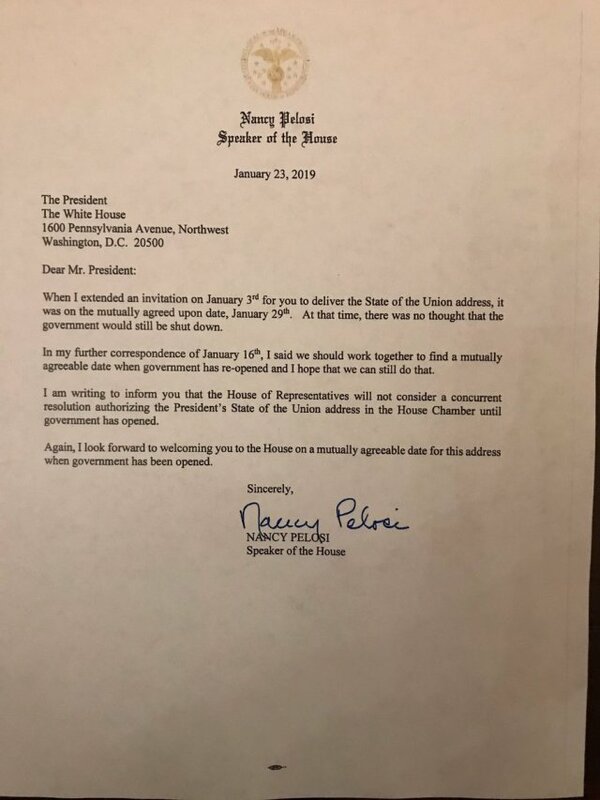 Pelosi’s latest move cancels the State of the Union Address. Ironically, her letter insinuates that democrats hope to find amicable solutions to the shutdown. But clearly, democrats have no interest in solving the problem. Their only interest is in acting radicalized against the President, at any and all costs. Trump continues to seek a compromise, but Pelosi shot down his latest effort without even reading the terms of the proposed agreement. Instead, she drafted a cancelation notice for the SOTU speech. She may as well dump gasoline on a fire, because Trump didn’t miss the opportunity to fire back. Since the dawn of Trump’s campaign, he’s been ignored or misrepresented by the mainstream media. Further, democrats continually seek to demonize him. Yet, Trump communicates directly with his base like no other politician in history. Perhaps it’s because Trump isn’t really a politician. He’s a citizen, fed up with the status quo. And that leaves Nancy Pelosi shaking in her shorts. Because she entered Congress back when I was in elementary school and people carried boom boxes on their shoulders. She should be out of there by now. In 1951, the 22nd Amendment was ratified. After which, all presidents were legally limited to two terms. It was said that holding the power for any longer was dangerous to the citizens of our country. Yet, Congress isn’t held to the same standard, as it should be. Therefore, we continue to be subjected to the same crooked network run by people like Chuck Schumer, Nancy Pelosi, and even Mad Maxine Waters. These very same people covered up the crimes committed by the Clintons and Obama. We could say the mantra of the democrats is lie, cheat, and steal. But really, it’s lie, cheat, steal, and blame a Republican. Sadly, there are droves of people who buy into their crap. Clearly, Pelosi believes cancelling the speech gives her some kind of leverage over the President. However, Trump has several options. First, he could blow off the speech. But I don’t really see that as a viable solution. Second, he could cave to Pelosi’s whims. However, I think there’s a snowball’s chance in hell for that one. So what else could Trump do? Well, he could tweet his speech. Or he could make his speech in a press conference. He could even do a State of the Union rally. Anything is possible, really. There’s only one thing that won’t happen. Pelosi will never silence Donald Trump.